There is so much I would love to record on this blog – sadly, there is so little time to do so. Keeping up with the pictures themselves is a struggle. 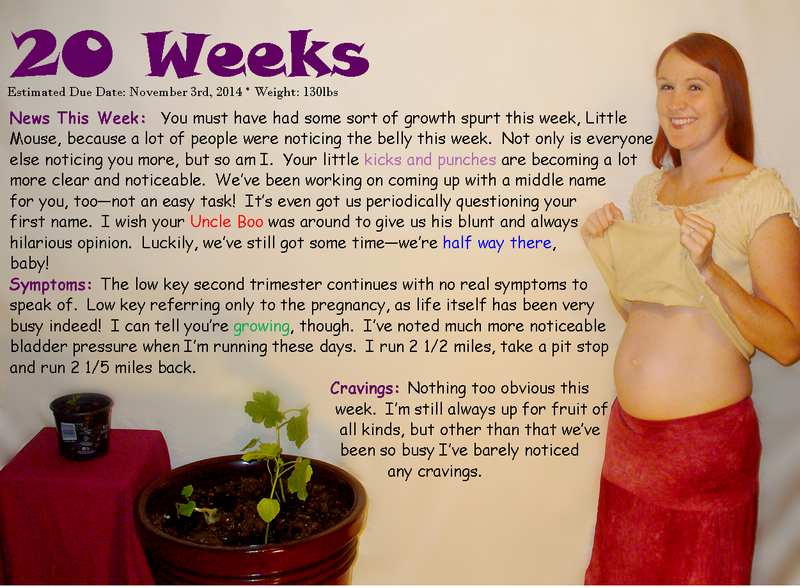 The 23 week picture is a little off because it was done with a camera phone since we were out of town. Heck, all of them are a little off since I insist on playing with the brightness and colors. But they are getting done – dying plants and all! 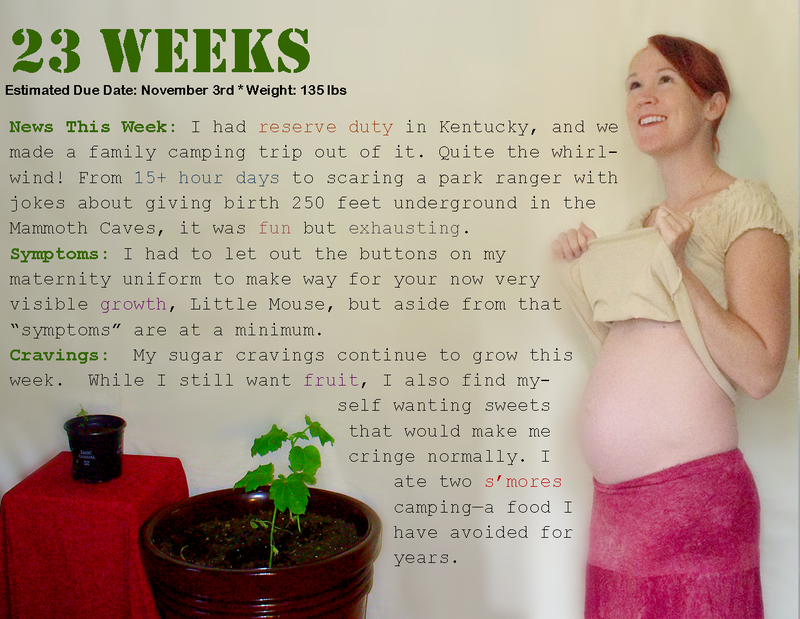 I’m nearing the end of 25 weeks (time to take another picture again! 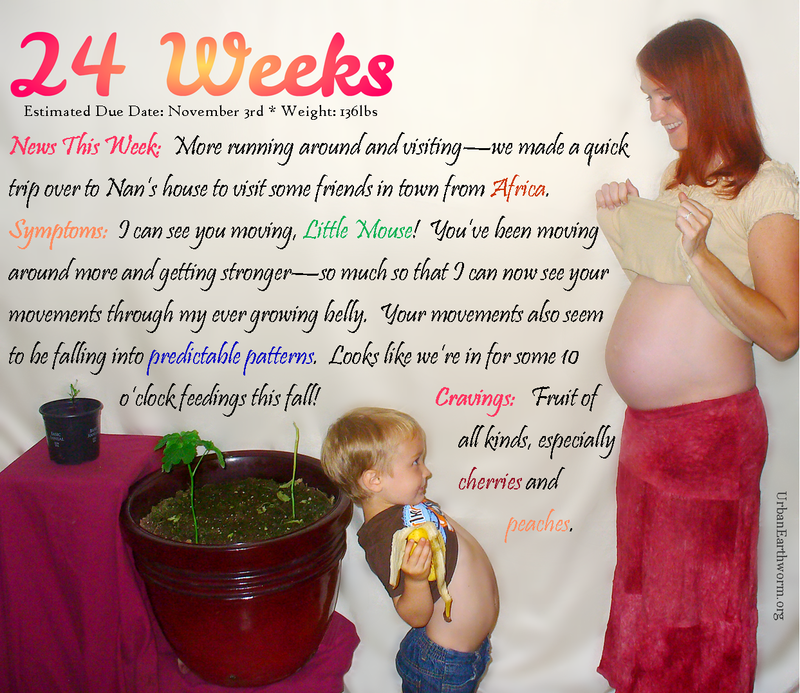 ), and the small amount of time I have left before this baby arrives is starting to set in! Only about 15 more weeks, and everything left to do. 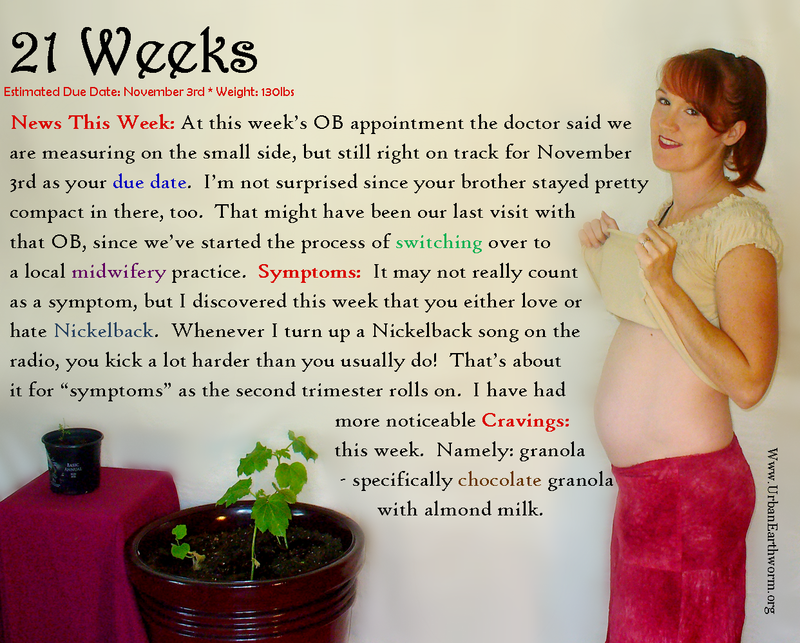 This entry was posted in Baby Names, Check Ups, Pregnancy Photography, Pregnancy Symptoms, Vegan Pregnancy. Bookmark the permalink.